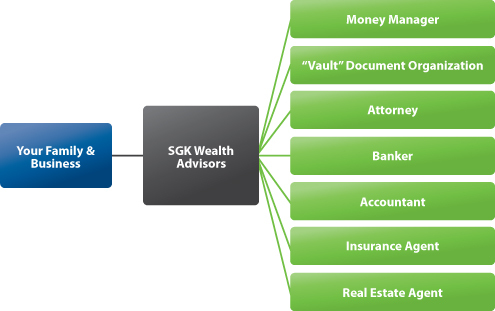 The goal of our approach is designed to protect your assets through a risk-controlled process. We will help you preserve and build wealth over the long run. We begin with a series of meetings that help us understand your goals and values and your tolerance for risk. We then strive to provide investment advice that maximizes clients' peace of mind. Our independence allows us to help you select the best ancillary advisors that are right for you.